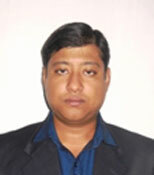 Mr. Atanu Pal, Asst. Prof, obtained his B.Tech from WBUT. He has been teaching Networking, DBMS, Computer Architecture, Software Engg.,Multimedia & Numerical Methods. His current research area is in Computer Network.